Lorazepam, available under the brand name Ativan, is a powerful prescription medication classified as a benzodiazepine. It slows activity in the brain with sedating properties. 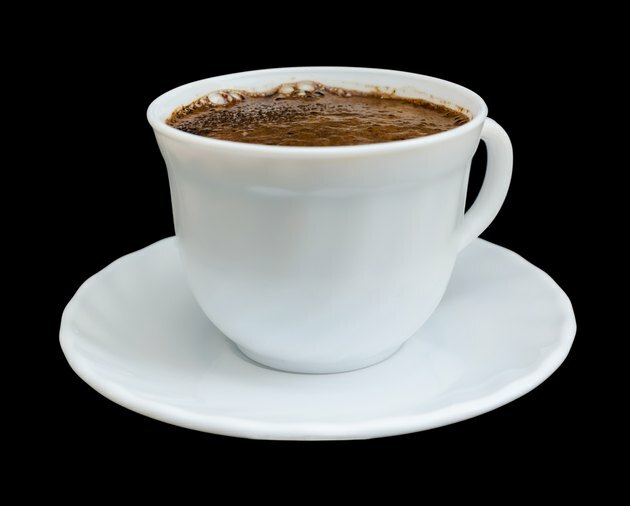 Caffeine, in contrast, is a stimulant, and consuming large amounts may counteract some effects of Ativan. You may not need to completely give up caffeine if you take Ativan, but consult your doctor before combining the two substances. Ativan is primarily taken to relieve anxiety. Doctors also prescribe this medicine to treat insomnia and irritable bowel syndrome, and its anticonvulsant properties make it useful for treating epilepsy. In addition, Ativan has anti-nausea effects, which can help patients experiencing nausea from cancer therapy. Drugs.com doesn't list an interaction between caffeine and lorazepam, indicating that the two are safe to take together. However, some research indicates that caffeine does affect the activity of this drug. A study published in the April 1982 issue of the "Journal of Clinical Psychopharmacology" found that lorazepam impaired performance in various mental tasks. Performance impairment was similar in participants with high and low levels of anxiety. Taking a caffeine citrate supplement of 125 to 500 milligrams reduced the lorazepam impairment in a digit-symbol substitution test and counteracted the lorazepam impairment in a symbol copying test. Another study published in the June 1994 issue of "Behavioural Pharmacology" also found that caffeine reduced lorazepam impairment in learning and mental performance. While caffeine had some beneficial effects for participants taking lorazepam in the 1982 study, the authors note that the 500-milligram caffeine citrate supplement counteracted the anti-anxiety effects of lorazepam. A caffeine citrate supplement contains an equal amount of caffeine and citric acid, so 500 milligrams of caffeine citrate contains 250 milligrams of caffeine. In comparison, the caffeine content of 8 ounces of generic brewed coffee ranges from 95 to 200 milligrams, according to MayoClinic.com. Caffeine in high doses may cause anxiety, and caffeine may cause anxiety and panic in people with panic disorders, according to Drugs.com. These are factors to consider if you take Ativan for anxiety and want to consume caffeine as well. Ativan interacts with numerous other substances, such as medications that treat allergies, Parkinson's disease and sleep disorders. Consult your doctor before combining Ativan with any other medications or supplements. Is Drinking Coffee and Taking Diazepam Harmful?